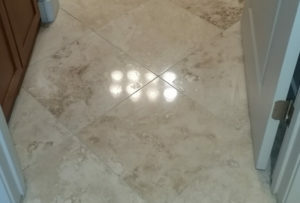 The filler in the holes in this travertine was coming loose. 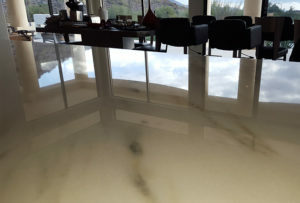 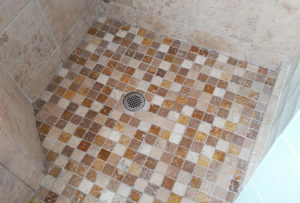 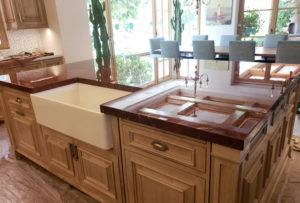 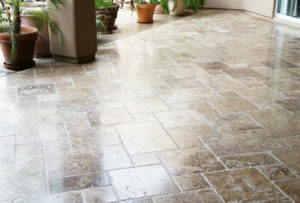 We "floated" or filled the travertine, then honed, polished, and sealed. 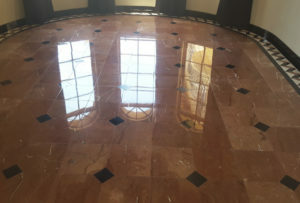 Now the floor looks new again. 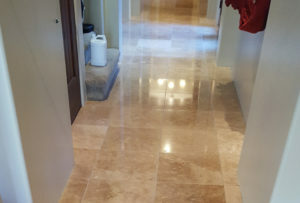 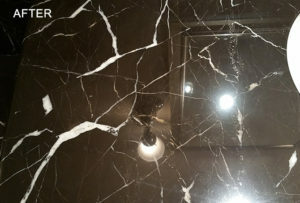 Homeowners did not want to try to sell with etch damage on the marble and granite floor. 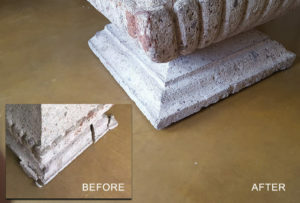 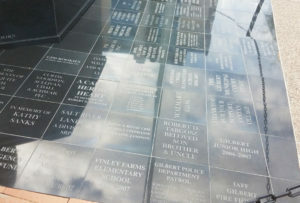 We removed the etch damage and refinished the stone. 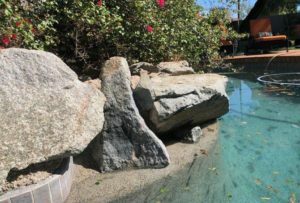 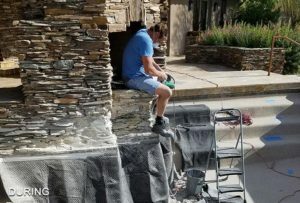 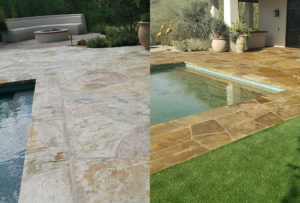 The flagstone sealer in this pool area had turned white and was flaking and peeling, one of the most common issues we see. 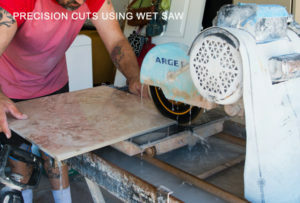 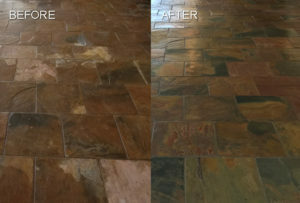 The environmentally-conscious homeowners wanted us to strip the old sealer without using any toxic chemicals. 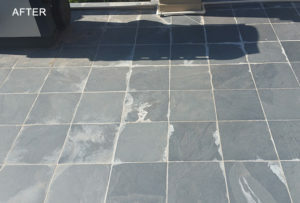 We removed the flaking build up of improper sealers, then cleaned and applied the appropriate sealer, giving new life to this slate. 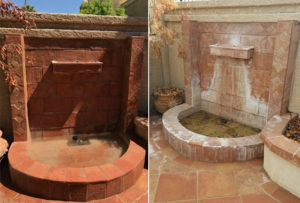 The fountain in the back yard of a Phoenix, AZ home had not been professionally cleaned in many years. 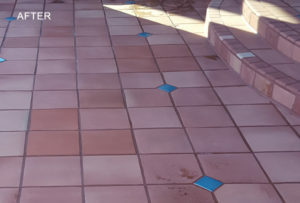 We removed hard water deposits and restored it to a vibrant, like-new appearance. 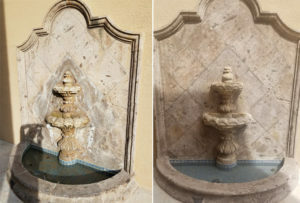 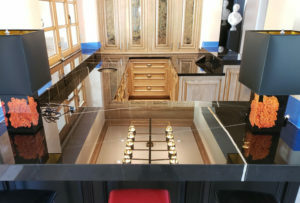 Find out how we removed severe discoloration from calcium water deposits (also known as limescale) and rust stains, restoring the elegance of this slate. 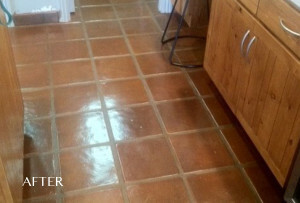 The once-beautiful Saltillo tile floors in this Phoenix, AZ kitchen had become diminished in appearance. 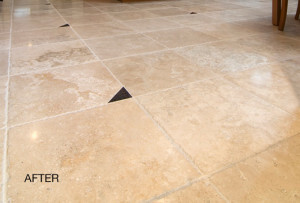 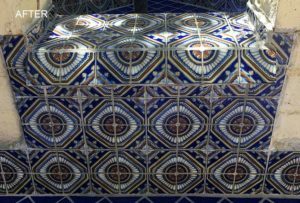 With heavy traffic and use, the sealers had worn away, leaving the tiles looking faded and dirty-looking. 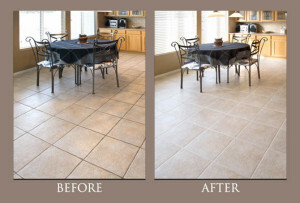 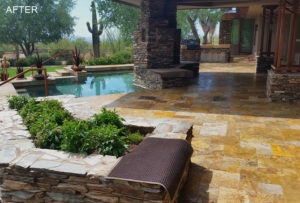 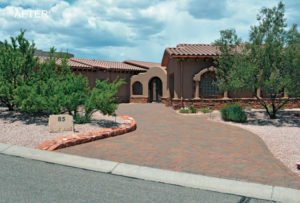 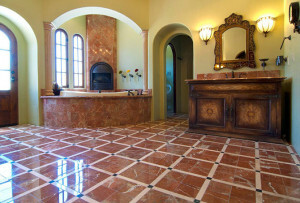 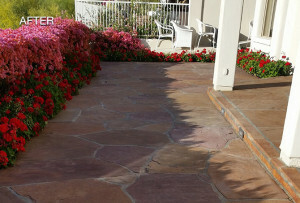 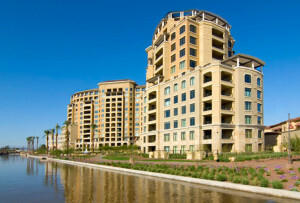 Our clients purchased a home in Scottsdale, AZ with flooring that didn't suit their style. 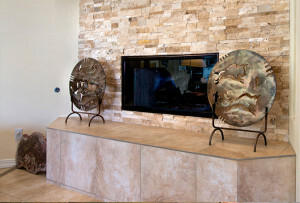 Although the neutral, earthy tones were appealing, they wanted to update the look of the home.